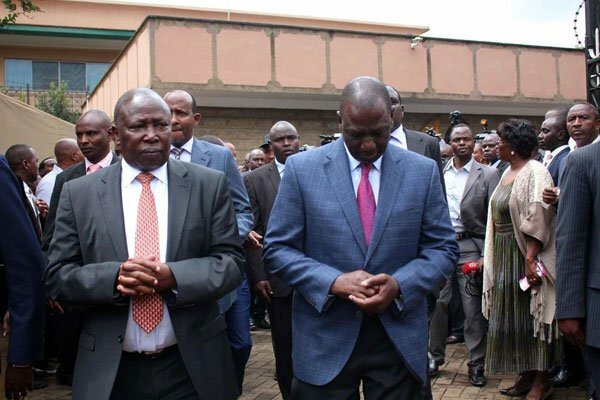 Saturday December 29, 2018-Former Starehe MP, Maina Kamanda, has supported sentiments made by former Gatanga MP, David Murathe, that Mt Kenya region had not signed a memorandum of understanding (MoU) with anybody regarding the 2022 presidential elections. In a phone interview with one of the local dailies on Thursday, Maina, who is currently a nominated MP, said Murathe spoke for the silent Mt Kenya majority who are holding the same view. He said nobody should condemn Murathe because he spoke the truth. "Let those condemning Mr Murathe stop because what he said is what majority of Jubilee Party members are saying silently when you speak to them,” Mr Kamanda added. However, Mr Kamanda said that trying to silence Murathe is like a person trying to hide a wound. “If you try to hide a wound, one day it will be seen and might not be treatable at that particular point,” he said.